Welcome to the online home of Bronnie Ware. 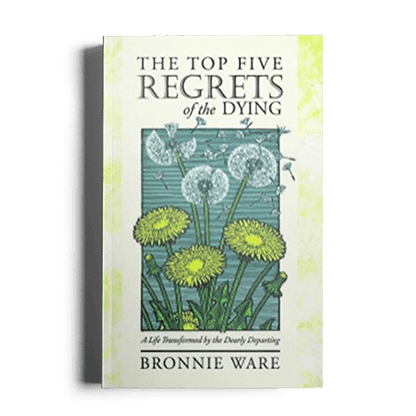 Bronnie Ware is best known as the author of the international best-selling memoir The Top Five Regrets of the Dying, read by over a million people in 31 languages so far. Bronnie's courage for honesty and vulnerability continues to inspire changes in others right around the globe every day. 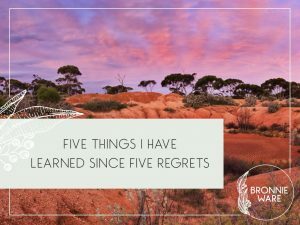 With her deep commitment to presence and living life on her own terms, Bronnie is a real-life example of what regret-free living truly looks like. 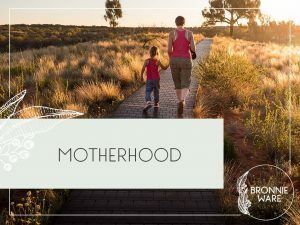 Bronnie is honoured to offer you her knowledge and tools for living, helping to ensure your own life is also regret-free and aligned with joy. Because, you deserve to create and experience such a life! Honoured by intimate conversations as she sat by the bedsides of dying people, Bronnie discovered that not only did many people have regrets, but they were also similar ones. After eight years of caring for terminally ill patients, Bronnie realised that there were five main regrets. She vowed to never let any of these become her own. Instead she has chosen to live courageously, exercising the power of conscious choice ever since. Change your life in the best ways by learning about regret-free living. 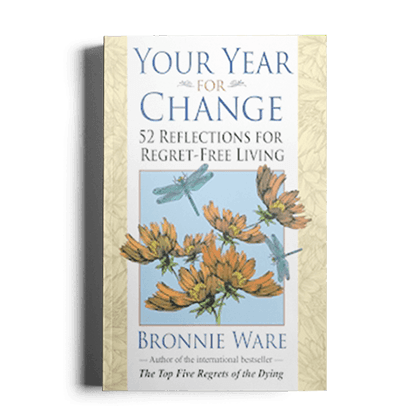 Bronnie's first memoir, the international bestseller THE TOP FIVE REGRETS OF THE DYING was published in 2011 and continues to change lives every day. YOUR YEAR FOR CHANGE is a collection of short stories to inspire you through busy times, reconnecting you with what is most important in creating your life free of regrets. 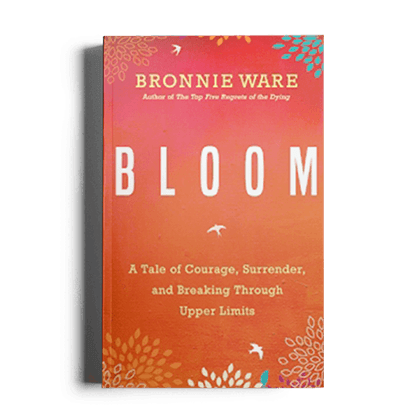 BLOOM is Bronnie’s second memoir, picking up where 5 REGRETS finished. It can be read as a sequel, but also stands strongly on its own. 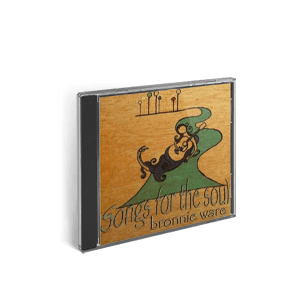 Songs for the Soul brings out the storyteller in Bronnie, with observations of life shared through easy tunes. 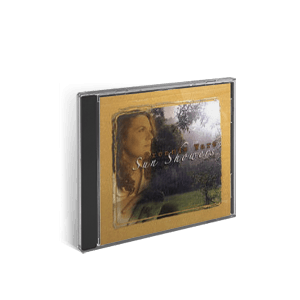 Sun Showers expresses a raw vulnerability and innocence that Bronnie has come to love. YOUR YEAR FOR CHANGE CONTAINS 52 SHORT STORIES FOR REFLECTION, TO INSPIRE EVEN THE MOST TIME-POOR READERS. READ ONE A WEEK OR DIVE RIGHT IN. BLOOM IS BRONNIE'S SECOND MEMOIR, EQUALLY POWERFUL TO THE TOP FIVE REGRETS OF THE DYING BUT ALSO STANDS STRONGLY ON ITS OWN. Bronnie's powerful new memoir is here! 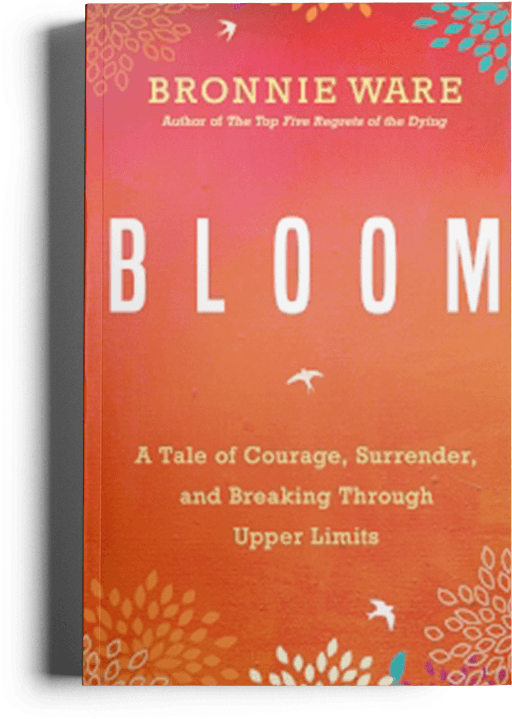 Bloom is an inspiring memoir, reminding us that whether life’s lessons arrive through illness, trauma, or any other unexpected upheaval, life really does love us. 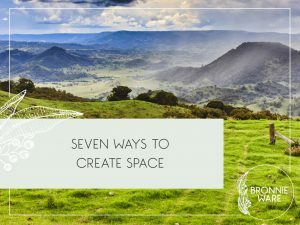 For a monthly dose of inspiration, sign up for Bronnie’s newsletter here. You will also be the first to hear of updates and news.